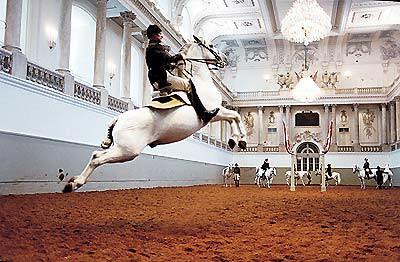 The Spanish Riding School in Vienna is the only institution in the world which has practiced for over 440 years and continues to cultivate classical equitation in the Renaissance tradition of the haute école. 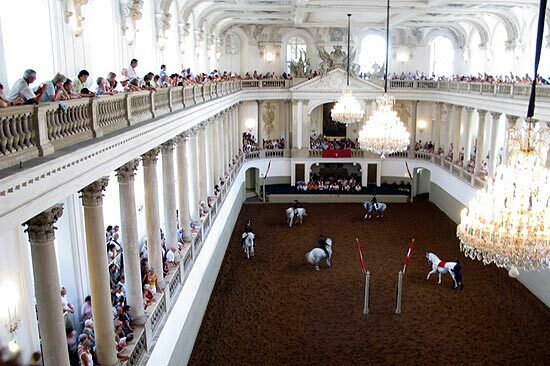 Viennaconcerts.com offers you tickets for the Spanish Riding School Lipizzaner performances months in advance. Despite the extremely high demand, customers of Viennaconcerts.com can always be sure to have the tickets they want and the best possible service. In 1729 Emperor Charles VI commissioned the architect Josef Emanuel Fischer von Erlach to build the magnificent Winter Riding School in the Hofburg Palace; it was completed in 1735. A portrait of the monarch graces the splendid baroque hall in which the riders of the Spanish Riding School train their Lipizzaner stallions and show off their skills to an international audience during the public performances. 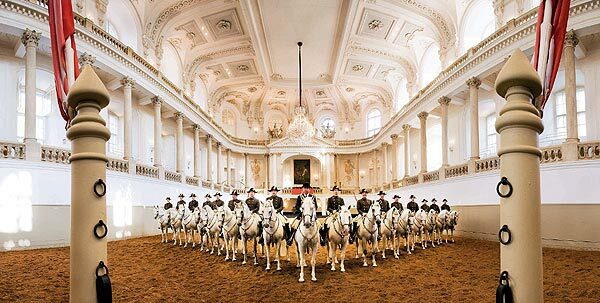 The Spanish Riding School, a significant part of Austria’s cultural heritage, is not only the oldest riding academy in the world, it is also the only one where the High School of Classical Horsemanship has been cherished and maintained for over 430 years. The School takes the “Spanish” part of its name from the horses which originated from the Iberian Peninsula during the 16th century and which were considered especially noble, spirited and willing and suited for the art of classical horsemanship. Today’s Lipizzaner stallions are the descendants of this proud Spanish breed, a cross between Spanish, Arabian and Berber horses, and they delight horse lovers from all over the world with their performances. At the beginning of 2001 the Spanish Riding School in Vienna and the Federal Stud Piber in Styria were separated from the federal administration and made legally independent whereby the establishment is still wholly owned by the Austrian Federation. The two entities were merged into one legal company and a special Spanish Riding School Act charged the establishment with fulfilling certain duties for the public benefit. 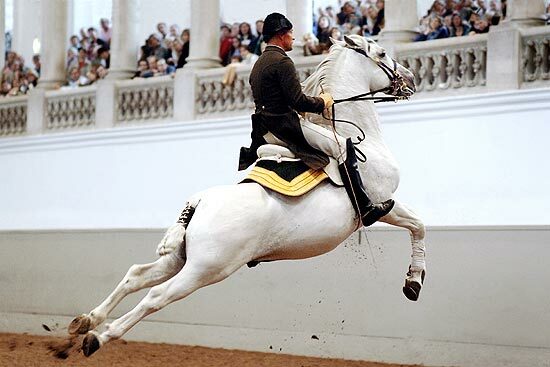 These include above all the continuation of the traditional breeding of Lipizzaners, the rearing and provision of prime stallions for the Spanish Riding School and the pursuance and preservation of the High School of Classical Horsemanship.